I am proud to use only the best products available when providing services to my valued customers. I do not offer products for sale, but I do use the following name brands when performing your services. These brands have been selected for their outstanding quality in order to provide you with the consistent results you demand when you visit. Harness the healing power of nature. ABBA Pure & Natural Hair Care is scientifically formulated with botanical extracts, essential oils and enriching nutrients to revitalize hair from the inside out. 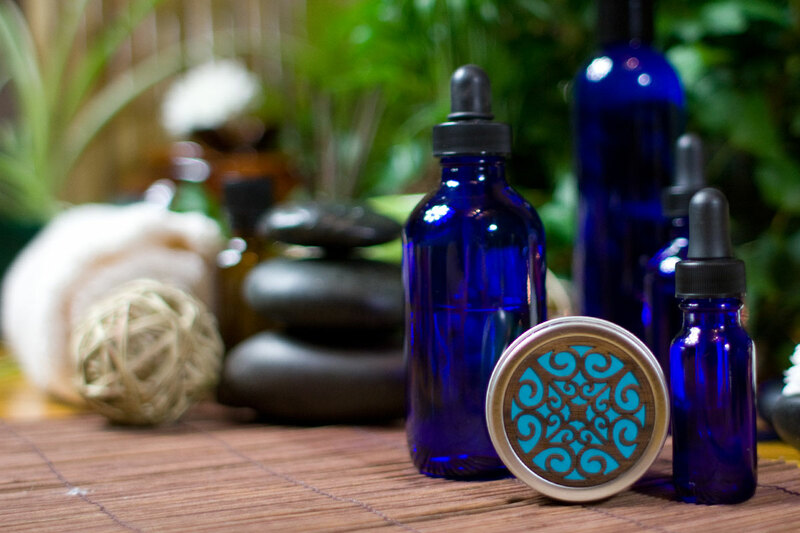 Experience the latest in plant, herbal and aroma therapies. Unearth the secret to beautiful hair. Body Drench has designed their skincare and tanning formulas with the highest quality natural formulas and revolutionary Ingredients to nourish, protect and quench your skin. Body Drench products have revolutionary ingredients combined with a skin-fitness philosophy. They have designed skin fit tanning formulas with the highest quality ingredients to produce maximum results while nourishing and protecting your skin. In an industry inundated with countless claims of turning ugly ducklings into swans, only to leave the consumer flat once they leave the salon - master stylist, Sam Brocato, believes that knowledge is the key to everyday beauty. "Hair truly can be emblematic of who we are - it is a representation of our personality and our life", says Sam. "When a stylist can bring this out, it creates an instant connection with the client." Brocato is instilled with Sam's knowledge about the needs of hairstylists and clients alike, and passion for creative design and product performance. All combined, affording the consumer every opportunity to look just as great as they did when they were in the stylist's chair. Along with his wife and two young sons, Sam recently moved to New York, where he continues his commitment to the business of beauty. Founded in 1987, California Tan has 20 years of experience in the development of innovative, cutting-edge tanning products. We are the leading manufacturer of indoor tanning lotions, combining advanced tanning technologies with premium skin care. We are the only manufacturer who can bring this expertise to all areas of tanning - indoors, outdoors, sunless. No matter how you want to get your golden glow, we've got you covered. Only California Tan offers scientific 3-step systems and the most advanced products to maximize your tan. And only we can deliver a true California Tan. Epicuren Discovery is committed to client service and providing products made of all-natural ingredients. Through continuous progression, our company’s core priorities remain constant: customer experience, wellness, environmental awareness, and evolution. GHD is the global leader in heat-styling, thanks to our world-beating range of ceramic styling irons plus thermodynamicsâ„¢, a collection of products which lets you style with heat, style without fear. The worldâ€™s first hair beauty programme designed for heat- styling occasions (from hairdryers to styling irons and beyond), thermodynamicsâ„¢ will cleanse & nourish, protect, style and finish your hair, beautifully. The world leader in the category of 'alternative hair' accessories, extensions and systems for women and men. Halo Haircare is the first hair care line that keeps color treated hair protected and glowing like never before. Halo Haircare is the complete color solution, offering prescriptive regimens for every hair type. The magic of Halo haircare lies within the breakthrough Illuminating Color Protection technology. Any skin can be measurably improved. Common conditions such as sun damage, fine lines, wrinkles, acne scarring and skin discoloration, just to name a few, can be greatly resolved or removed by the use of our specialized formulations and services. Jan Mariniâ€™s remarkable technical advancements are available only through the Jan Marini Skin Care Management System. With our proven program, skin can be stimulated to appear clearer, younger, smoother and healthier. The Brazilian Keratin Treatment Â® is Quick, Affordable, Universal, Gentle, Natural, and Healthy. It brings the price of silky straight hair to a reasonable level while remaining an upscale process. It can be used on dyed or highlighted hair. In fact, it can be used on any type of hair. It is safe and natural and can be used on children and it blends with the natural growth of hair. It is NOT meant to be permanent and it DOES require redoing approximately every 3 months. It penetrates the hair repairing internal damage and coats the hair preventing further damage. The results are SOFT, SHINY, STRAIGHT hair. We believe a beautiful face, body and soul is simply a reflection of oneâ€™s health. Nothing reflects oneâ€™s health more than clean, healthy and vibrant skin. Our products are designed with specific professional services in mind, while formulated to be gentle enough for regular home use. The Mâ€™LIS Company has decades of experience teaching holistic methods for skin care, and has developed a comprehensive product line to help customers achieve long lasting results. Our holistic approach to health and beauty helps us help others, which is why The Mâ€™LIS Company Skin Care line is a natural fit for any spa or wellness center. John Paul DeJoria, CEO of John Paul Mitchell Systems, the largest single-line hair care company in the world, was one of the first to recognize the potential in the pet beauty industry. With the launch of products under the John Paul Pet label, he insisted on trying all the products himself and the company still prides itself on the slogan "tested on humans first." Qtica Hand Nail Body Care Products The Next Generation of Hand, Nail & Body Care. Repechage has many natural products including Repechage Hydra Dew Illuminating Cream Mask. This mask actually absorbs into skin with no peeling or rinsing needed. Itâ€™s made with seaweed and light reflectors, so instead of waking up with a pillow-creased morning face, youâ€™re all radiant and smooth. Transcends ordinary and moves into the realm of extraordinary TIGI has entered a new era in hair care by launching a premium range of products that will create hair youâ€™ve only ever dreamt of! S-Factor is ideal for all hair types as it smoothes straight hair, enhances gloss in short hair, combats frizz-prone curls and calms Afro hair. And the products are also ideal for coloured hair; offer heat protective qualities and condition hair effortlessly. Accidentally discovered by a dentist in 1985, this unique formulation was a side effect of medication given to a patient who informed the doctor that something was suddenly clearing his skin of unsightly razor bumps. Since then, many other uses for Tend Skin have been discovered. Tend Skin will improve the appearance of razor bumps, ingrown hairs, and redness caused by hair removal. Excellent for both women and men, you will see results in 24 hours! All of these cosmetic problems relate to hair removal. This means Tend Skin is good for women and men. Men can use it on their faces and necks. Women will find it usful on legs, bikini lines, underarms and anywhere else hair removal creates ingrown hairs or razor bumps. TIGI products are specifically designed for every type of hair -- from normal, naturally dry hair, and chemically treated, to totally overstressed hair, TIGI has the tools to complete your lifestyle. Research has discovered new information relating to the specific needs of hair and TIGI has incorporated products to cater for the entire spectrum. Vavoom is the product line salons and their clients look to for new options, new sources of styling freedom, and a reinvented style. Xtreme Lashesâ„¢ Eyelash Extensions are semi-permanent extensions that will extend your eyelashes for a beautiful and natural look and feel! Xtreme Lashesâ„¢ are perfect for special occasions or every day wear for vibrant, long and luscious lashes. Real science that creates thick hair. Get what you want touchable, more luxurious hair. Amplify Volumizing System is patented technology proven to increase the thickness of hair. It's the volumizing brands stylists recommend. Artec Textureline professional styling products contain pure plant and flower essences and essential oils designed to smooth, hydrate, and condition your hair. Gentle enough to use every day, Artec Textureline products are great for color treated, permed or natural hair. Nutrient rich botanicals cleanse and detangle your hair leaving it softer, silkier and shinier than ever before! The Australian Gold Instituteâ„¢ researchers are pioneers in the creation of premium tanning and skincare products, so every Australian GoldÂ® tanning formula you buy contains years of tanning and skincare research that leads the tanning industry. Australian GoldÂ® tanning formulas are nature-based to promote the darkest tan and healthiest- looking skin possible, so the tan you get is your own...naturally! An amazing breakthrough in technology lets you smooth curls, tame frizz, blow dry hair straight. Unique patented formulas work together to help transform curly, frizzy, dry ,hair with color or coarse hair into a salon-smooth style. Our products bring the legendary powers of herbal extracts to hair care for the best of both worlds, the scientific and the natural. i.d. bareMinerals makeup is about being true to your i.d.entity. Bare Escentuals started the revolution in mineral makeup with the introduction of our 100% pure bareMineralsâ„¢. All foundations, cheek and eye colors have been crushed to a silky, creamy powder form...but it's NOT a powder. These are 100% pure bareMinerals that are free of preservatives, talc, oil, fragrance and other harmful chemicals. The formula provides impeccable coverage for every skin type and skin tone, and protects with a natural sunscreen. But bareMinerals are just the beginning. Our i.d. makeup line also offers complete color cosmetics and treatments designed to enhance your natural beauty, such as lipsticks, lip liners, lip glosses, mascaras, skin preps, flawless application brushes and more.